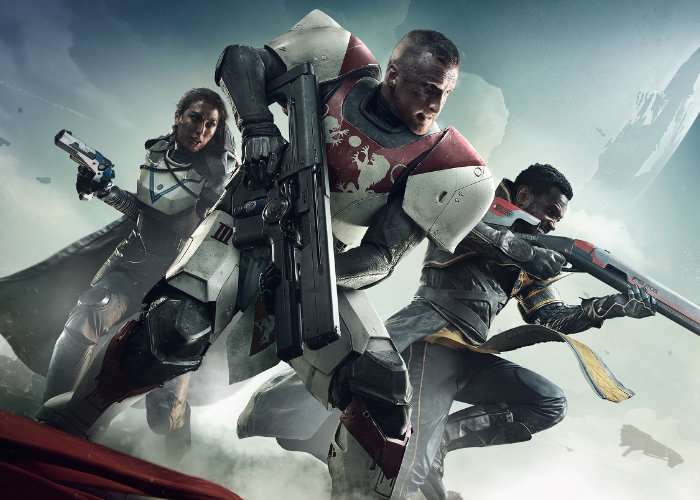 If you’re interested in learning more about the new Destiny 2 game which is launched on both PlayStation four and Xbox one today, before you part with your hard earned cash. You may be interested in this 120 minute gameplay footage which has been kindly published to YouTube via the Game Informer team. During which Game Informer’s Ben Reeves and Leo Vader take an early look at the first few hours of Destiny 2. – Hunters continue to have access to the Solar-based “Gunslinger” sub-class of the original, along with its “Golden Gun” super, with some subtle changes. The Hunter’s new sub-class for Destiny 2 is the Arc-based “Arcstrider”, replacing the “Bladedancer” sub-class of the original. Arcstrider has a super that focuses on an electrified staff and a large amount of rapid mobility. – Warlocks continue to have access to the Void-based “Voidwalker” sub-class from the original, along with its “Nova Bomb” super, with several changes. The Warlock’s new sub-class for Destiny 2 is the Solar-based “Dawnblade” with a super called “Daybreak”, replacing the “Sunsinger” sub-class of the original. The Daybreak super allows the player to make Solar Light blades to strike enemies from mid-air, similar to the Titan’s “Sunbreaker” sub-class of the original with its “Hammer of Sol” super. – Titans continue to have access to the Arc-based “Striker” sub-class and its “Fists of Havoc” super of the original, with some noticeable gameplay changes. The Titan’s new sub-class for Destiny 2 is the Void-based “Sentinel”, replacing the “Defender” sub-class of the original. Sentinel’s super allows the player to summon a shield that can block enemy fire and be used offensively, similar to Captain America’s shield.